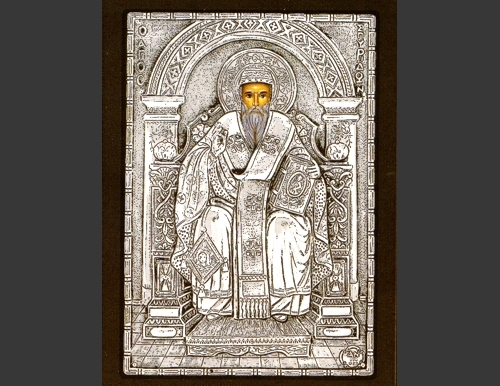 An exquisite silver Greek Orthodox icon of St.Spyridon. 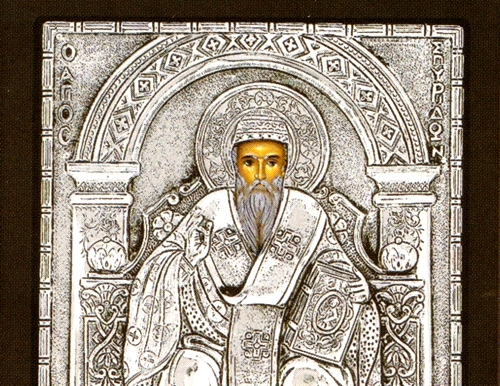 St. Spyridon was a fourth century bishop who was present at the First Ecumenical Council. He is also commonly referred to in Corfu as Keeper of the City, since he is also the patron saint of that island (this is where his relics are located and venerated). He is commemorated by the church on December 12.